I always enjoy seeing things I’ve never seen before. 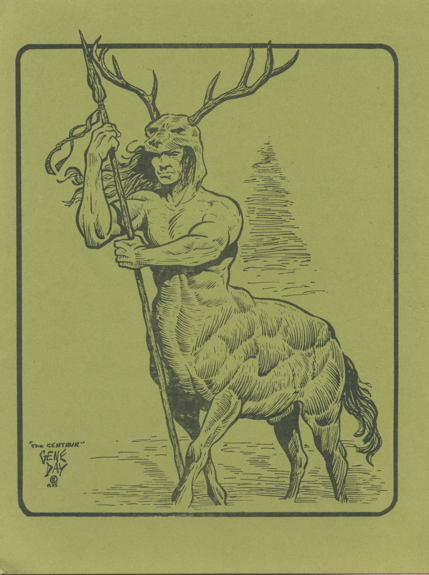 That hooded centaur looks great. Sad to think Gene Day died aged only 31.
wow – those are really solid pieces – was the whole collection of that vintage? I haven’t read the John Carter novels (I know—shame on me) but is there really just a naked guy who walks around with a sword? Amazing old stuff. Never even seen images of them before. I know what Mike means about the old TSR illos. The first AD&D hardbound Monster Manual was brand spanking new when my friends and I discovered D&D, so we had to get the original box set and all the supplements if we wanted to play, not to mention all the new and back issues of The Dragon. Good times…, good times. 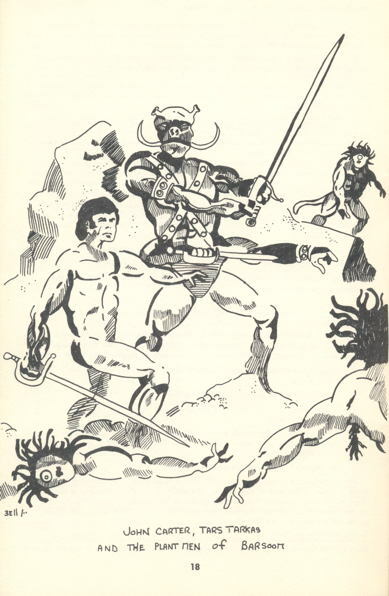 Love 70s role playing stuff… it all feels like a zine. Thanks for sharing, Mike. So jut out of curiosity, what does something like that John Carter item bring costwise? In addition to Gene Day, Wyrm’s Footnotes includes Mike Mignola’s very first published work, illustrating the article on dragonewts. (Issue #14, a quick search tells me.) I’m not sure if there’s artwork by Steve Purcell in any WF issues, though I know he was part of that Bay area gaming scene and did later do covers for several of the Avalon Hill boxed sets for RuneQuest’s 3rd edition. Jim: Day was remarkable right from the outset. 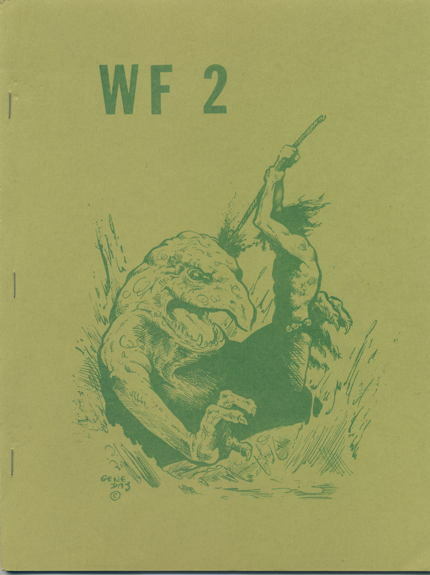 Chaosium, the company that published WF, did get more than its share of remarkable art all along, but no, most of the WF and other Chaosium art isn’t that awesome. De: Yes, actually. Any clothing beyond weapon harnesses and such is UNFAITHFUL TO THE TRUE SPIRIT OF EDGAR RICE BURROUGHS GET THE HELL OFF MY LAWN and all that. g23: Well, of course, this is a zine Mike’s showing us. 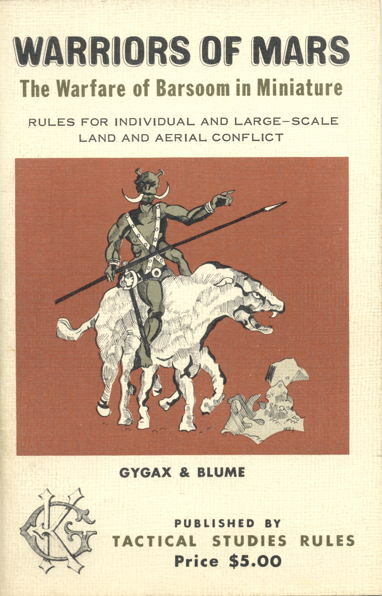 Here’s the entry on Wyrm’s Footnotes that’s part of Shannon Appelcline’s fascinating ongoing effort to document rolegaming history. See his Brief History of Gaming for more. He’s going out and doing interviews and such and assembled all kinds of neat material. Jim K. – There was a lot of material from the early to mid-’70s. I might throw a few more scans up here shortly. Mike N. – I’m not really sure…there’s one guy on eBay who has it at a Buy It Now price of $400, but…honestly, I haven’t the foggiest. http://www.acaeum.com is the standard early TSR collectible reference site, if you want to look up additional info. And I’d love to see scans of the other stuff if you are motivated. I’m not much of a collector of that kind of stuff but have fond memories of playing D&D during high school. Mike N. – I threw it on eBay with a $300 Buy It Now just to see what would happen…sold it within three hours! $300? Holy cr*p Batman, that’s a lot more money than I would have ever thought.